By Melissa Lennig on August 7, 2014 3 Comments. This content contains affiliate links. As an Amazon Associate I earn from qualifying purchases. 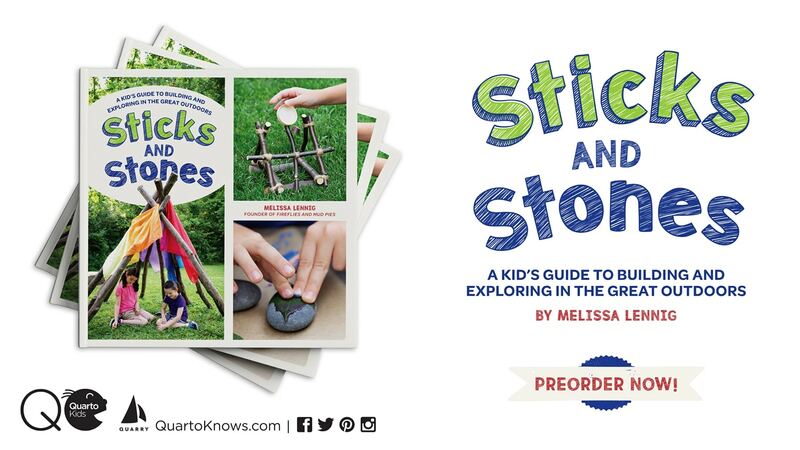 If you’ve been a reader of Fireflies and Mud Pies for a while, you know one of my passions is getting kids outside to play. Outdoor play positively influences a child’s health by improving their mood and physical fitness, developing their immune system, and enhancing their creativity, leadership skills, and imagination. Additionally, children who spend time outdoors are more likely to become environmental stewards, demonstrating a higher level of respect and appreciation for their environment and the people, creatures, and plants that live within it. Time outdoors needn’t be intense. 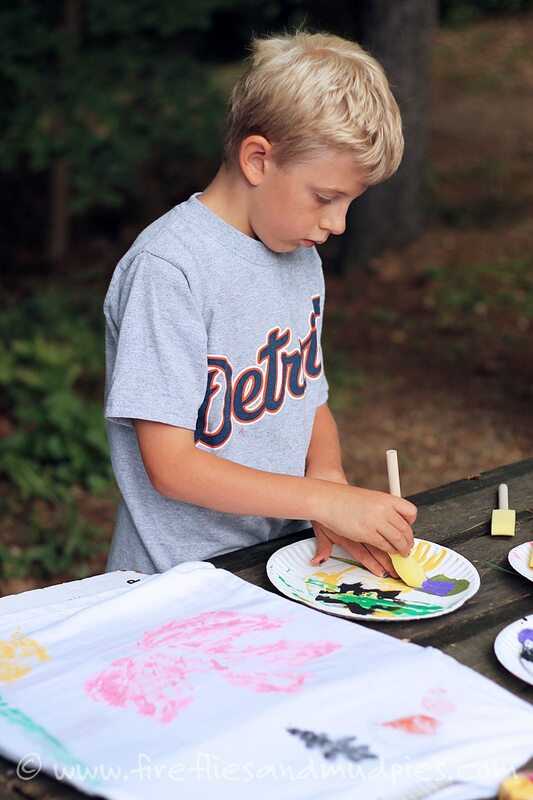 Much of our outdoor play revolves around playgrounds, leisurely nature walks, sand play, and crafting. 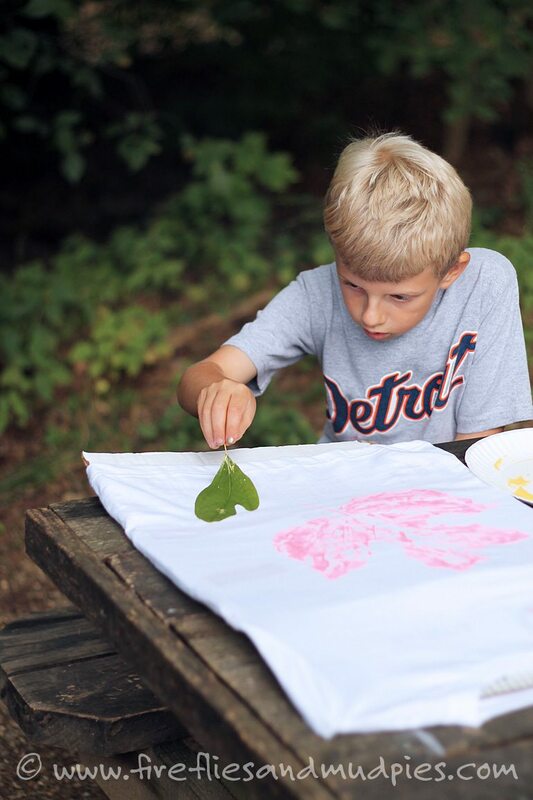 Our latest nature craft, DIY Stamped Leaf Shirts, taught my oldest son how to identify several common trees while getting his hands messy in the art process. We began this activity by searching for interesting leaves. My son and I gathered leaves from Tulip, Sassafras, Birch, and Oak trees, as well as some leaves from flowering perennials. We made sure to break open the stem of the Sassafras leaf to smell its citrusy Fruit Loop scent, and to appreciate the incredible size of the Tulip tree leaves. I peeled the bark from a young birch twig, and he marveled at the familiar scent of root beer. When spending time outdoors with kids, it’s the little things like this they remember. Spread a leaf onto the plate vein side up. 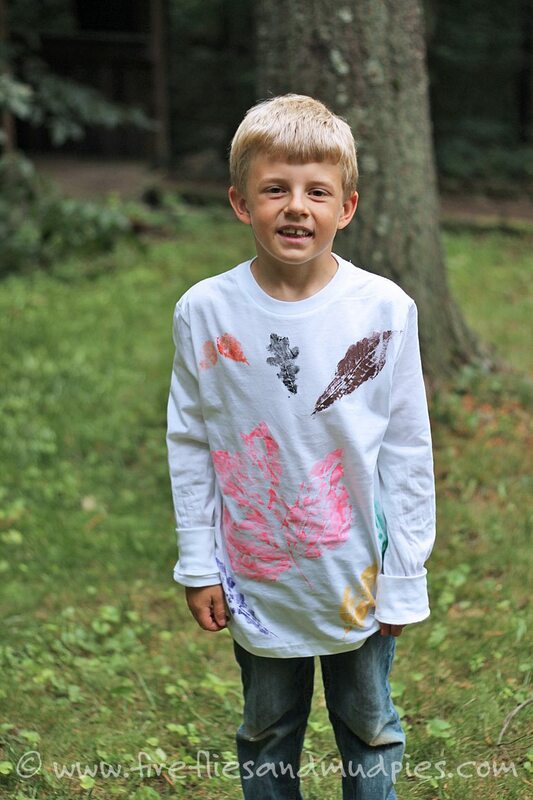 Invite your child to spread paint over the entire leaf using a sponge brush. Place the leaf paint side down onto the shirt. 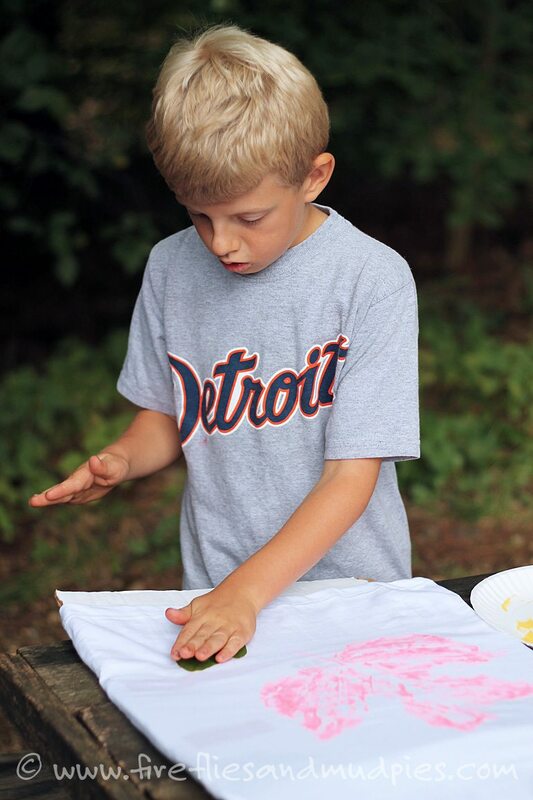 Show your child how to softly press the leaf with his fingertips to transfer the paint to the shirt. Carefully peel the leaf away from the shirt.